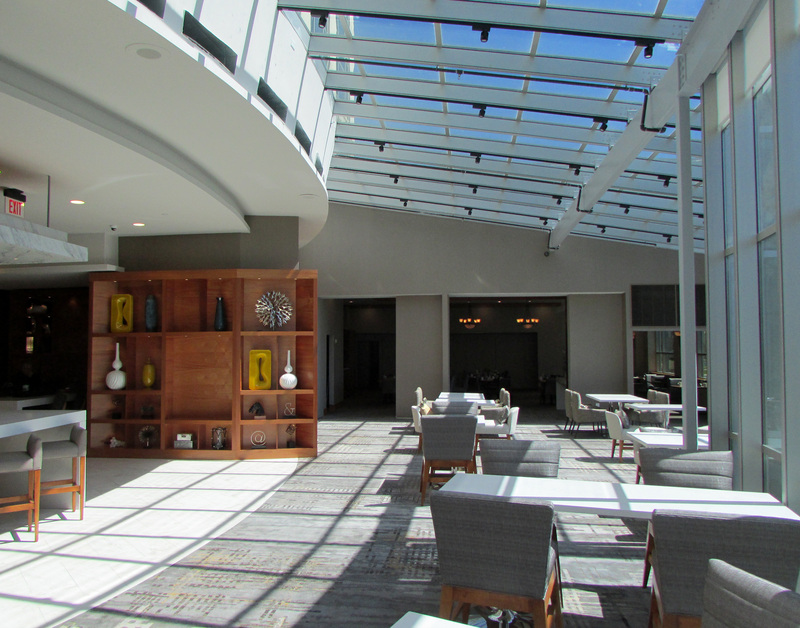 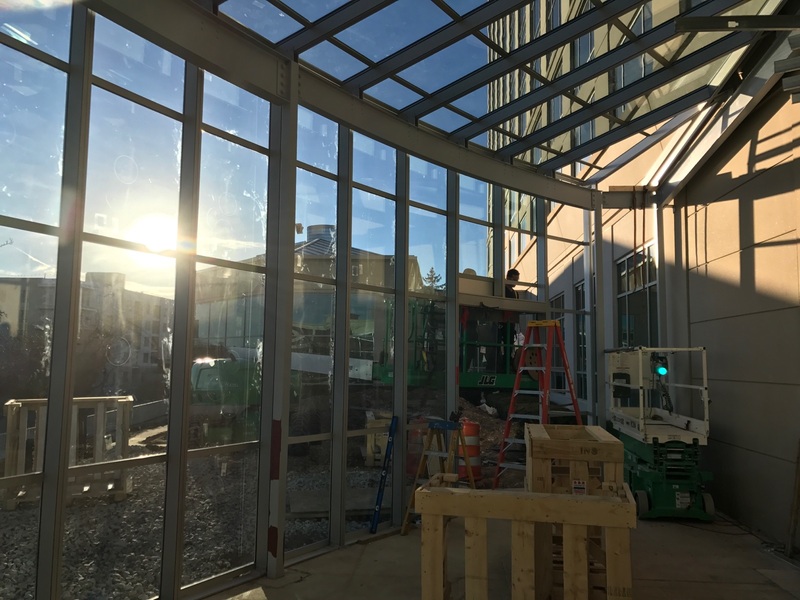 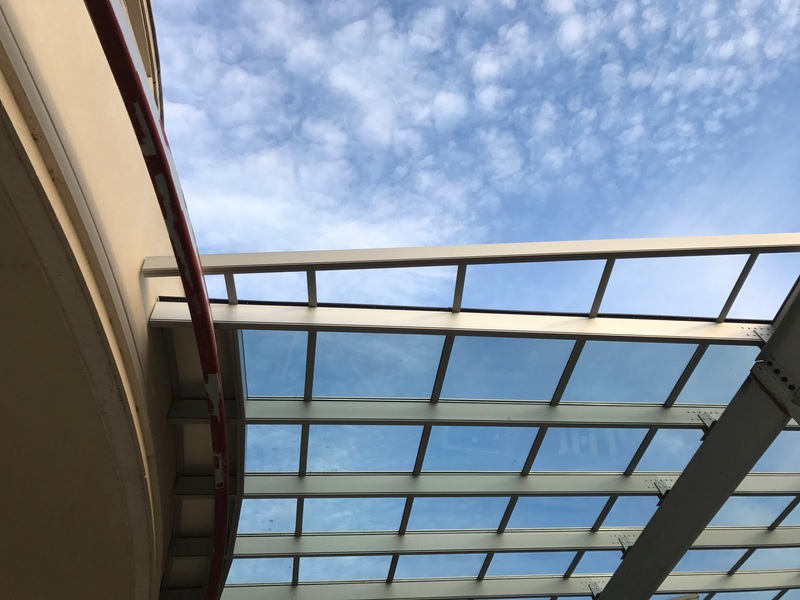 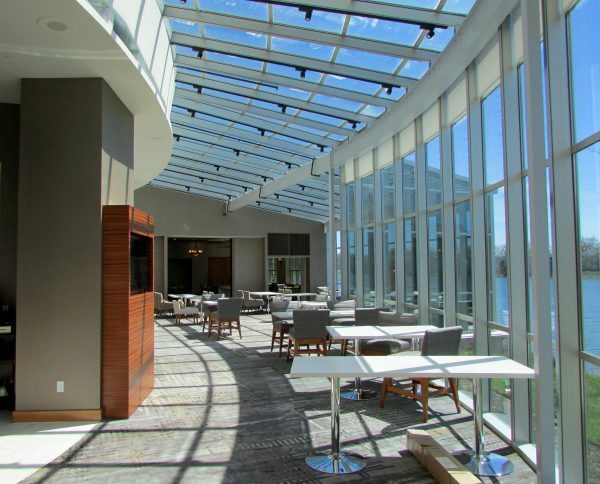 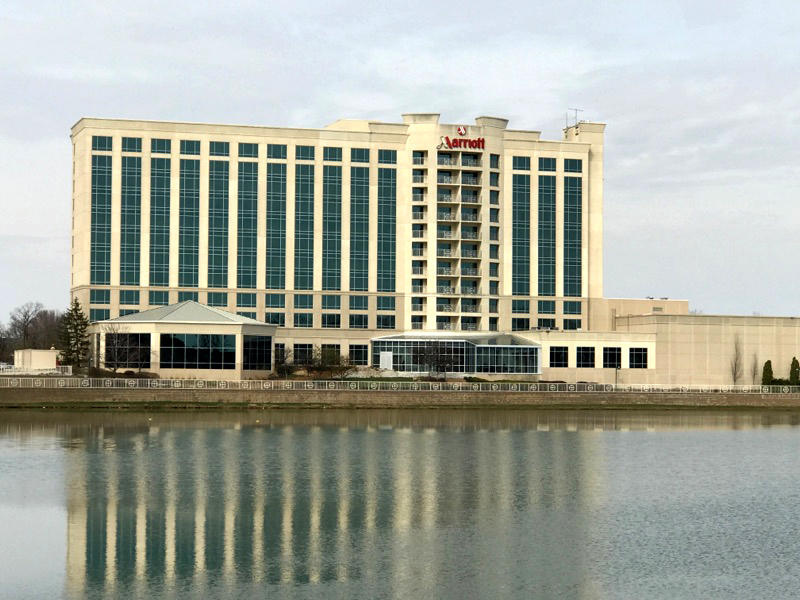 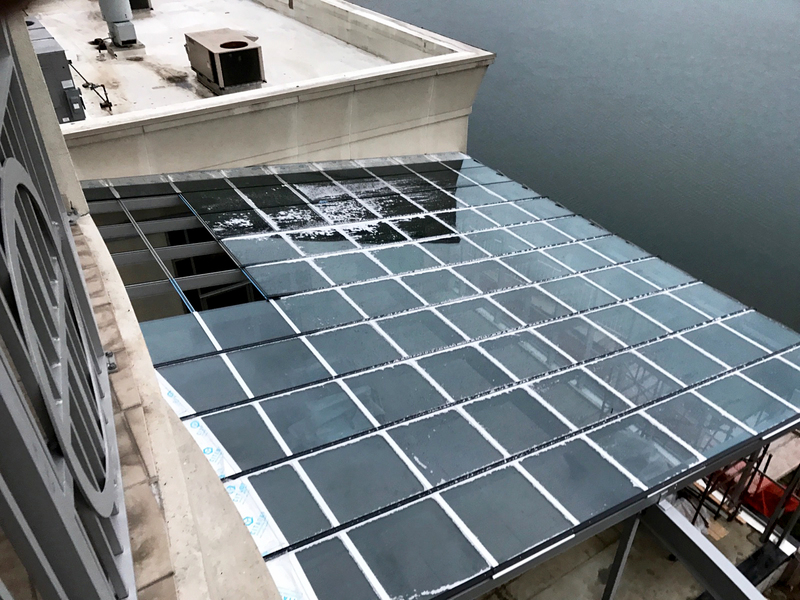 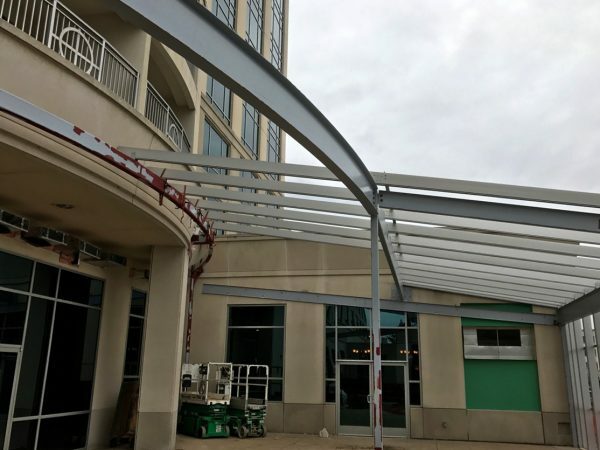 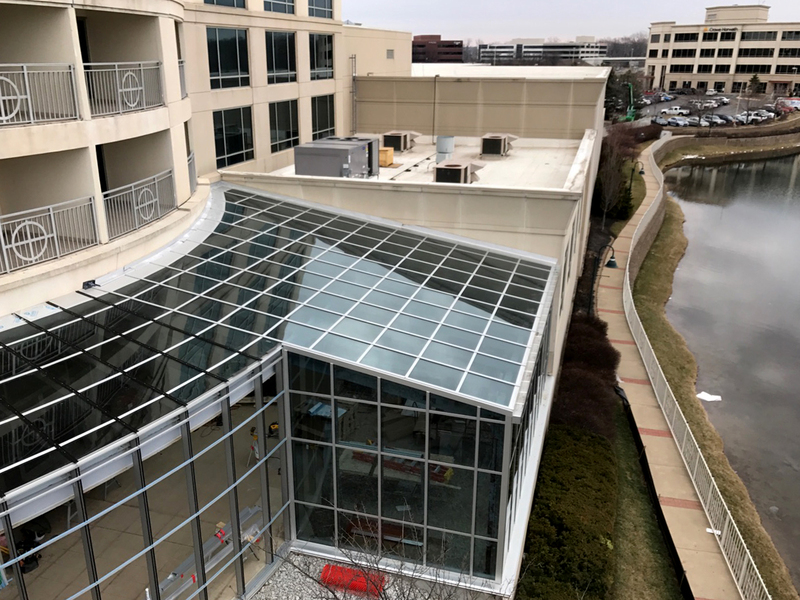 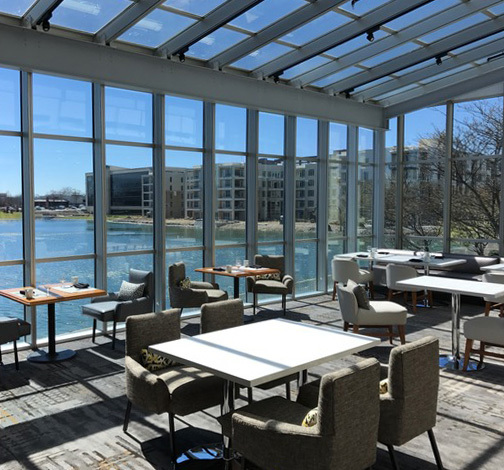 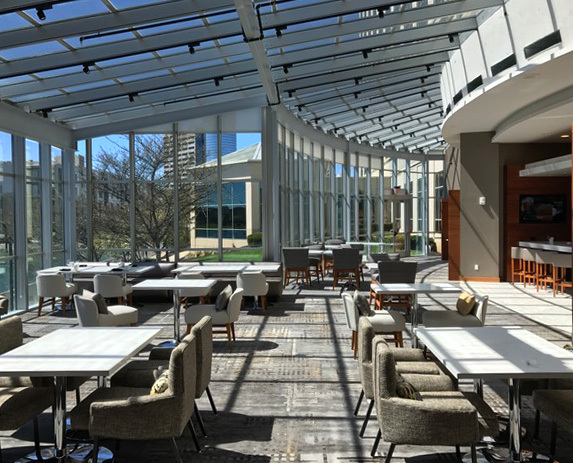 One of the first projects completed by Crystal Structures in 2017 is the glazed structure at the Indianapolis North Marriott. And what a great project to start the year! The Marriott was due for an upgrade, as all hotels need from time to time. 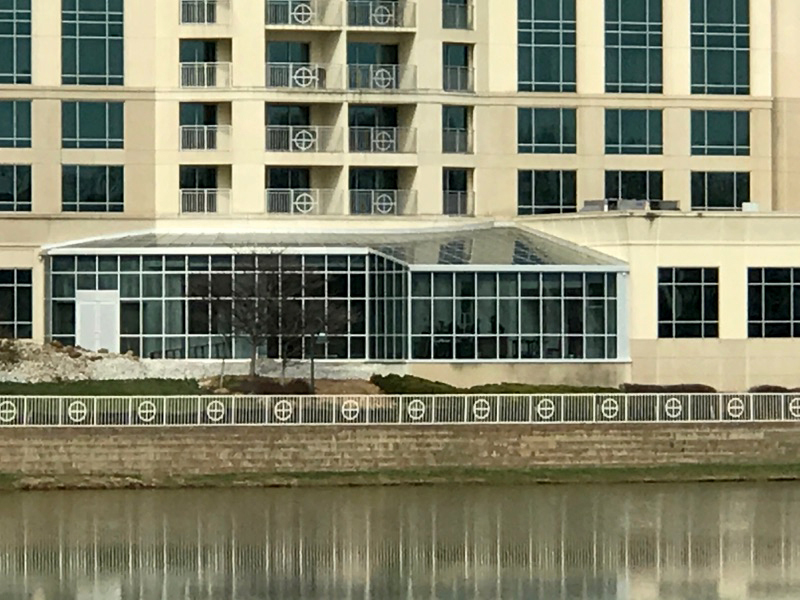 This hotel, located at River Crossing, has some very nice public spaces for guests including the back patio overlooking the lake. 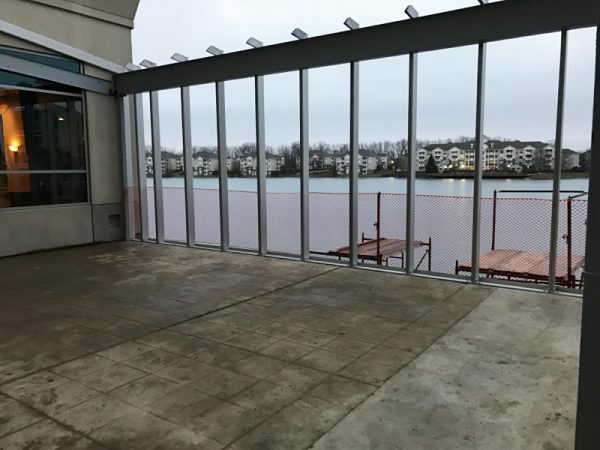 Unfortunately, the patio can be quite chilly. 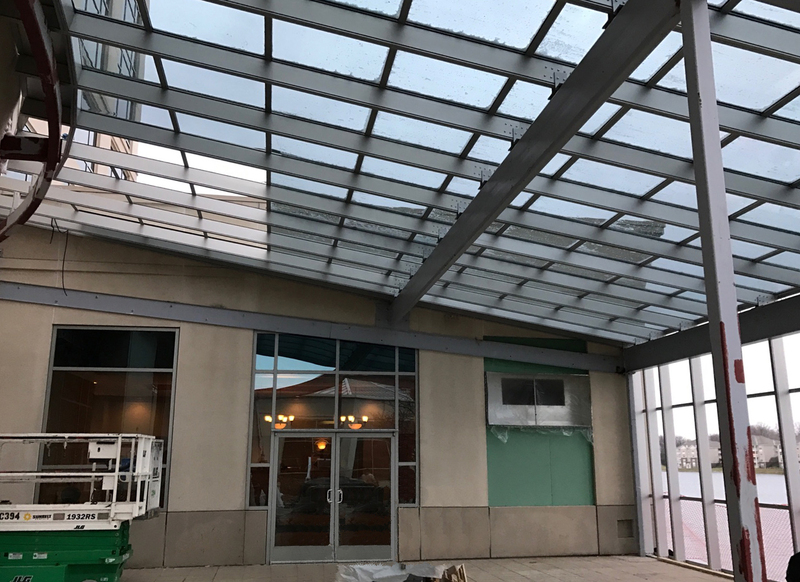 So as part of the upgrade it was decided to add a glazed structure to enclose the patio. 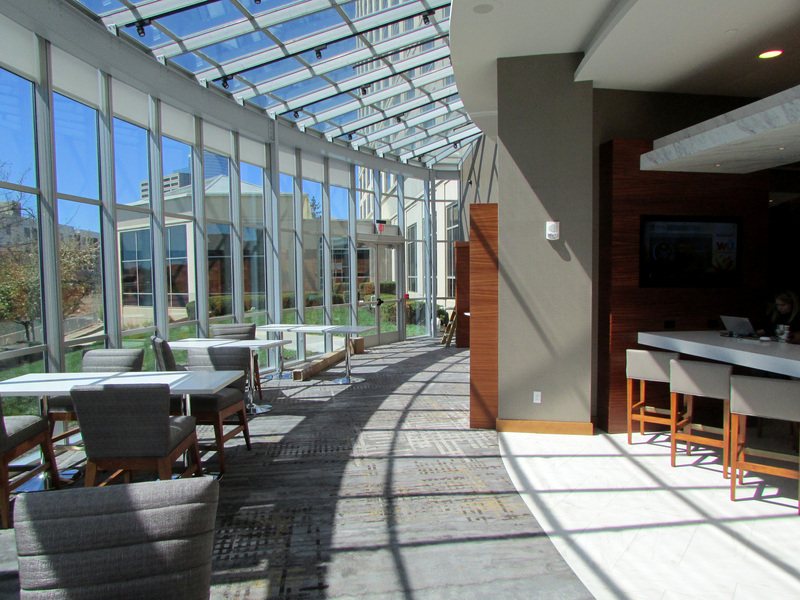 Over the winter months the transformation took place. 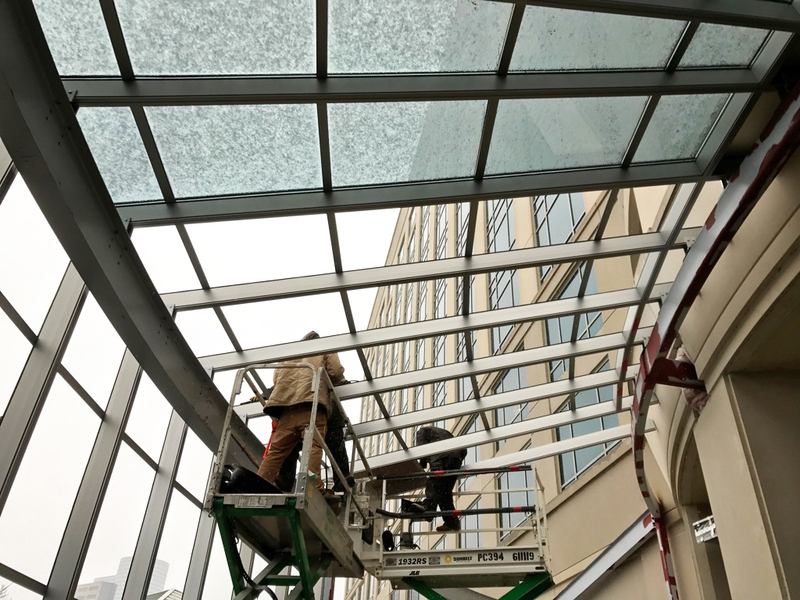 Working in freezing temperatures, the curved structure was framed and glazed. 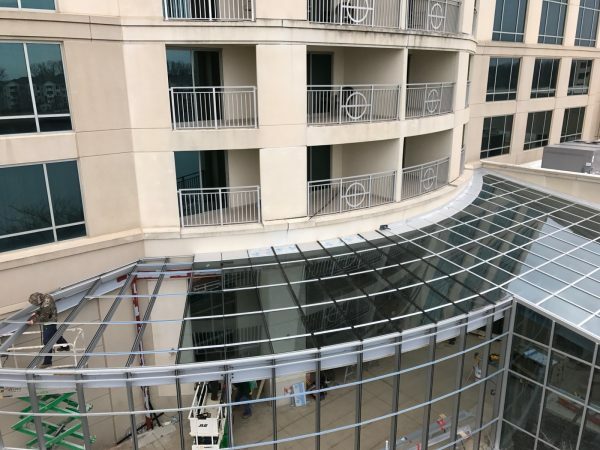 The structure stretches 42′ along the wall of the hotel and is up to 38′ deep. The structure is curved to match the existing patio foundation. Glass is a dual pane laminate and tempered laminate with a blue tint. 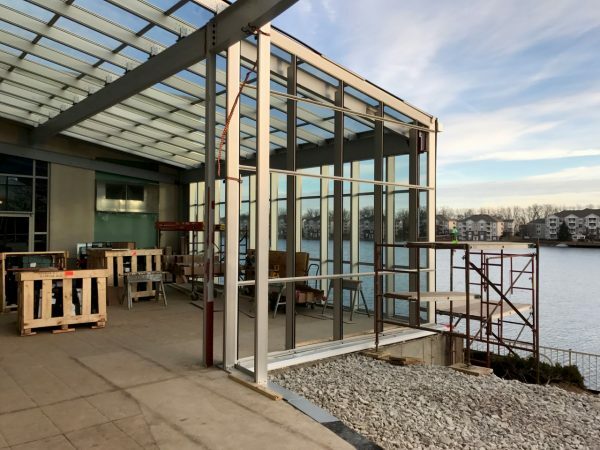 The entire structure is built to the same stringent codes for public structures and has live loads of 25 lbs and 90 mph winds. 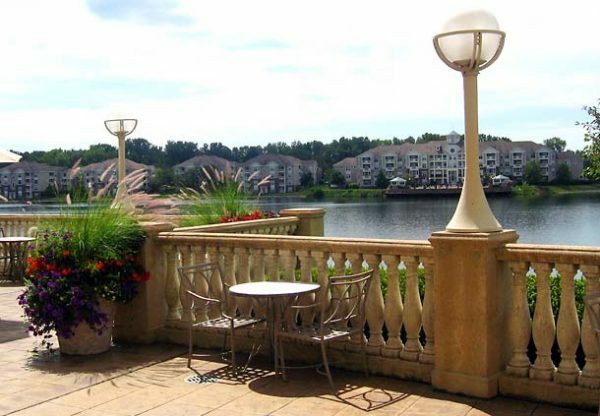 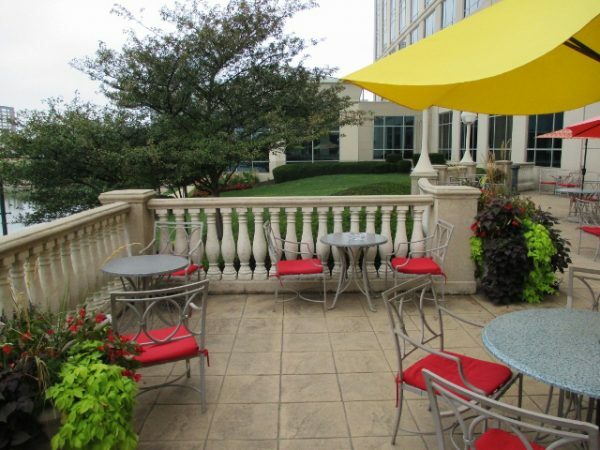 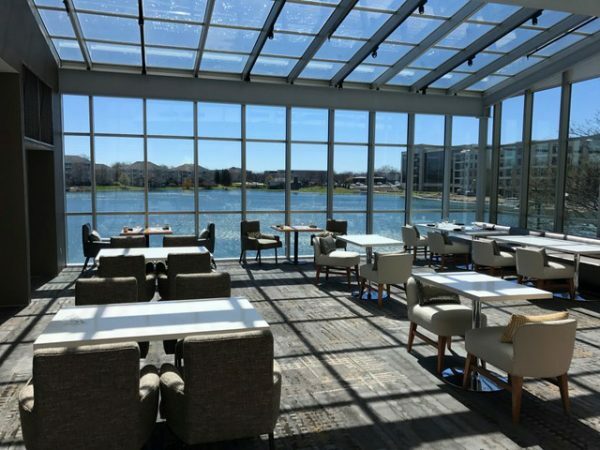 Today patio is a comfortable place to take in the view of the lake and surrounding area. 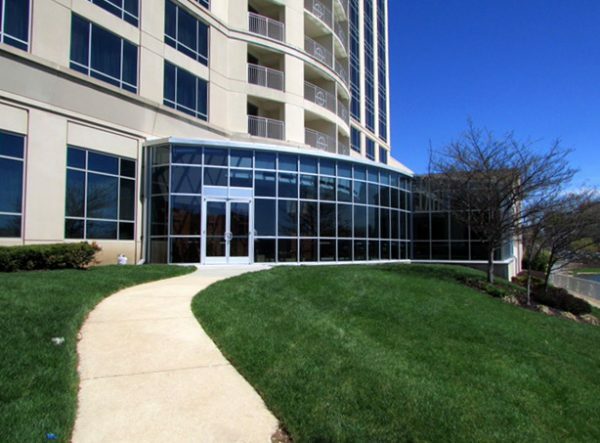 It’s also a great addition to the hotel, providing more space for special events without worrying about the weather. 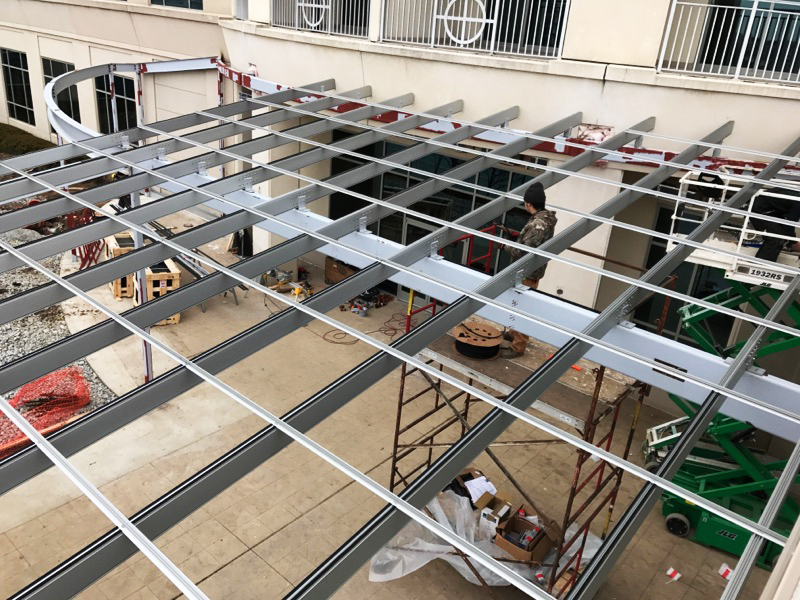 View the progression photos below and contact us for a quote on your next project.